Easy to install and simple to use. 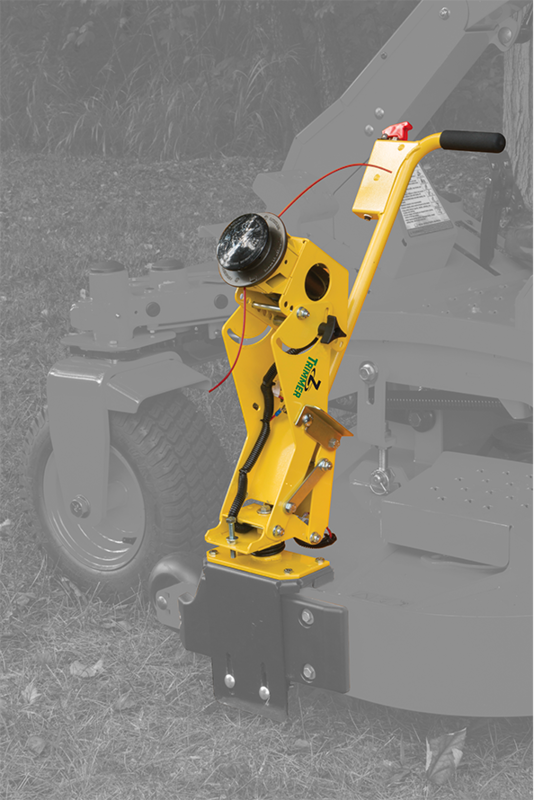 The lightweight Z-Trimmer is easily mounted to virtually any fabricated mower deck and runs off the mower's battery. 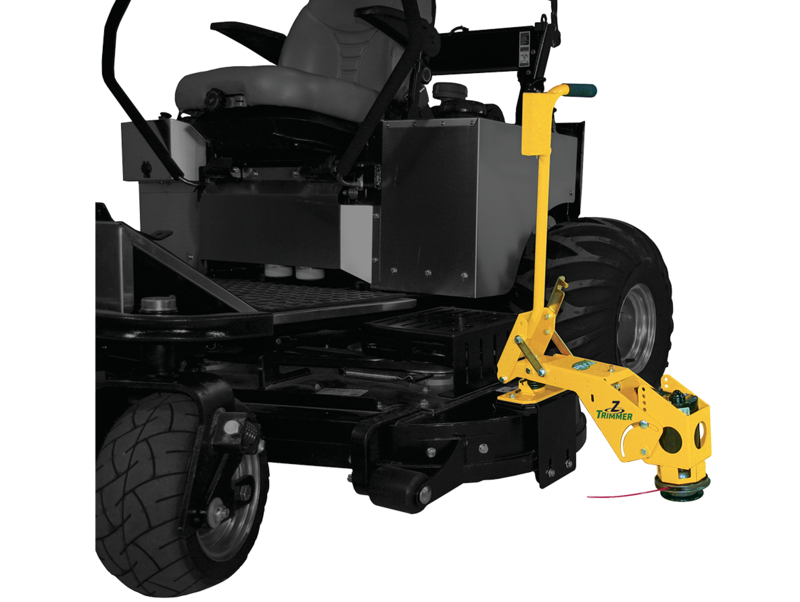 Obstacles are not a problem as the Z-Trimmer is spring-loaded to swing away from any obstruction. 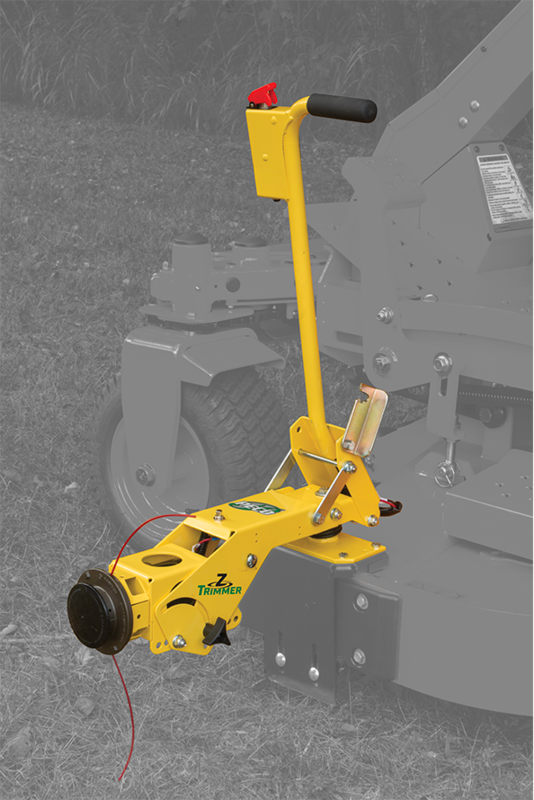 It's a great tool to speed up regular maintenance of your yard or fence lines. Bracket shown is for display purposes only. Not suitable for field use.